Does the Film - Completely Miss - The PHYSICS OF IMPLOSION - AND - (therefore?) the HEART ? participate in a 'universally COMMUNING (Implosive Fusion?) - bubble of charge? The reason spark gaps are used to feed things like Tesla Coils has always been that the wave shape of charge passage, being very abrupt makes approximately a square wave. The harmonic content of a square wave is an infinite fourier series, or an infinite number of waves lengths assembled in a braid including VERY high frequencies. Tesla Coils eat nicely from this diet because they can pick impedance wise which frequencies are "tasty" enough to add spin. Subject separated from object gets blurry here... In fact we ourselves the painter seemingly enter our own painting here. So why have humans so long imagined thought and awareness to be made of different stuff than matter and energy? It was so childishly convenient not to have to consider our mind and our emotions to be made of the same material as the messy world around us. This kind of physics for a consciousness separate from matter caused a serious schizophrenia in our awareness. It meant we could consider our body's wave form as something to fight and battle with, as if a kind of foreign matter irritant causing pearls in oysters. A far more mature description of mindfulness is the fractal attractor which keeps the cosmic jello going in the "do loops" of recursion (donut field effects). When the flux lines get drawn to center in a way which makes their path back to that center implode, we call this gravity and yet it is the essence of self- awareness.. "I am that I am..". It is all a simple description of the nature of moldable pressures which by nesting in elegant foldedness store pattern where the pressure holds memory. In spiritual literature this creates a language to describe the inner imagery landscape: a perception of nested pressures holding pretty holograms nested one inside the other. What holds these concentric holograms together in the nervous systems "fire" is coherence in the charge envelope. This means that huge nests of ultraviolet to elf sonic wave form around well integrated nervous plexi, creates a perception of an inner imploding vortex: "Chasm of Fire". The kundalini, the tantric, the ecstatic tears phenomenon are great coherence implosions. Ecstatic meant a way for the waves of "Eck" to enter "stasis"/stillness. For giant nests of pressure waves to converge at one point for common leverage from there, they need a continuous "spin path" to this "zero or still point". Here the frequency continuum cascades. Heterodynes braid a nonlinear caddeuceus to infinite frequency and velocity modes at one end, and to zero hertz and velocity at the other. This is exactly the cascade in the frequency signature of the heart as compassion sweeps. The tree is electrically entrained measureably at just this moment of "spin path to zero point". Here infinite frequency and zero frequency have the same decription, they are everywhere at once, appear totally still, and are infinitely shareable. Perfect symmetry is perfectly distributable. The wave distribution geometry from this still point, can only remain in the state of shared spin, when the symmetry is perfect. And it "turns out" that this perfect symmetry is perfect embeddedness, which is none other than the perfect recursive more than 2D fractal. THE PATTERN BY WHICH THE WAVES PROPAGATE BY GEOMETRY FROM THE FRACTAL ATTRACTOR STILL POINT IS EXACTLY THE DISTRIBUTION OF AWARENESS. Where an infinite series of harmonic nodes can radiate from a magnetic "center of gravity(recursion)" inside biology, there awareness rushes in. In a practical sense this means we can concieve of the flowered rush tingle of awareness from inside a magnetic sacred space (cathedral/stone circle/old oaks in a druid ring), as a kind of 3D Chaladni plate, macrodynamic flowform ring around WHERE THE PRESSURES NEST. My conversation with Karl Pribram (Holographic Brain), centered on whether or not there was anything flammable in the synapse. 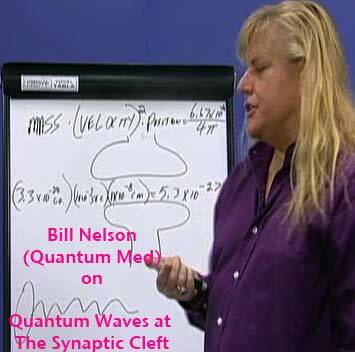 He was arguing that the waves which converged capacitively at the nervous synapse, perform a kind a Fast Fourier Transform frequency power spectral averaging. The waves converge, and the ones which electrically fit a larger pattern, can survive past the spark gap. I certainly agree with Dr. Pribram that this becomes a specific kind of holographic cohereing intelligence. Where we disagreed was whether or not to call this "electrical pressure capacitive" "snap crackle pop" at the synapse in fact a flame or fire. Fire is oxidation (oh-x then y you gene, cross then branch your flux lines of pressure to braid). Flame is nothing more than a name for the geometry of electrical pressures stabilized by crossing and branching. Since flame is a standing wave of pressures, and the stability of a standing wave of pressures creates distributed awareness, this has been called most appropriately in the spiritual literature "the fire in the mind". This is hot. Flame welds what is shareable, molecularly, and annhilates the rest. Pressure purifies by testing for what is shareable or distibutable as nested spin. When nested spin as pressure is infinitely recursive or fractal, it is infinitely compresible and infinitely shareable (ask a computer programmer about fractal data compression.) This is the geometry of what some schools have called accelerated thought, it is in fact compressed spin. Karl Pribram was saying in effect nothing at the syapse burns. I suggest humbly that it is clear that there is something which is consumed in the fire at the syanpse. All electrical wave forms which cannot propagate in gentle even handed symmetry among the radiating nodes in the optical hologram, are self cancelled by the simple physics of wave interference. For this same reason only gold survives the fire or alchemy. It's symmetry is noble enough to be a container for maximum pressure/heat. Molecularly speaking gold is the perfect fractal. (Electron geometry to nuclear). This accounts for its weight. Fractality makes gravity. So the test for inner fire, is the ability of our thoughts to hold electrical pressure. Only thoughts, or inner optical emotive holograms, which are shareable by the laws of recursive symmetry, can survive. In spiritual terms, this is the test for pure intention, which determines if our wishes become horses. Only fractality-recursion-embeddedness bend light, therefore only compassion as love creates matter, because only this attraction causes waves to leave their line and enter the cirle where spin is stored. Hence we each along with the galactic core exist gently in pursuit of a "heart of gold". The Golden Spiral pair which traces the perfect valentine heart shape, is also the perfect geometry for the radiation of pressure or spin from the center of a perfect fractal. This is how compassion gains leverage on ecosystems. Perfectly embedded in the awareness of spin, is the attractor glue to hold waveforms like atoms or families or galaxies together. Imagine you were in a line of friends yanking in pulses on a string going into a blind hole. There might be friends feeling those pulses on the other side of the blind hole, but you cannot see them. As a result the only way you have of getting information into and out of the blind hole, is the pulses of pulling pressure you send and receive. Now it might well be that a row of little ants is also pulling and putting pressures on the same rope. They however are doing so in wavelengths so much shorter than the ones you pull and heave, that you are not even aware that a family of ants is also swapping information with another family of ants, on the other side of the blind hole... ALL THROUGH THE SAME STRING. Now if the ant family does its pulling on the string in phase or dance time, to your longer waves of pulling motions, then there is no interference between the two signals. Eventually all the families, little to big, that wanted to share the same umbilical cord phone line to connectedness(God), learn that they need to arrange their pulses on the phone wire, so that they all perfectly nest embed (or braid) inside one another. This way an infinite number of families can share one phone line very econonmically. This describes the wave sharing that gets set up going into and out of every synapse in the brain. Phase disciplined, context or laminar coherent fractality=compressibility=shareability. If the pressures radiating symmetrically in all directions remain nested so that a responsive pulse returns for every one going out, then the flame (or charge envelope or spin) doesn't die. Only recursion or self-similarity accomplishes this. Recursion as self-awareness is the logical limit of super string theory. Now let's apply this to magnetism on the land or magnetism beneath the skin. Electromagnetics is the wind on which love and recursion travel. A few well placed paramagnetic stones, and long waves implode on the land making a flower of order in the landscape. Tears well up, rain falls, flowers flower. A few well placed touches in network chiropractic or acupuncture or moxibustion or geomancy... soon the spin finds itself. Arthur and the land are the one whom this grail serves.